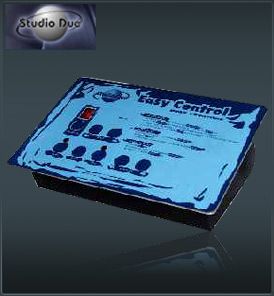 The Studio Due cont Easy Control is a small DMX recorder that can solve many problems in small installations, when the price of a DMX controllers is too high and therefore not ecceptable. The advantage in using the Studio Due cont Easy Control is not only in the price, but also in the easiness of use: our DMX recorder is in facts very easy to operate and thus suitable for everybody. What is the concept of Studio Due cont Easy Control?